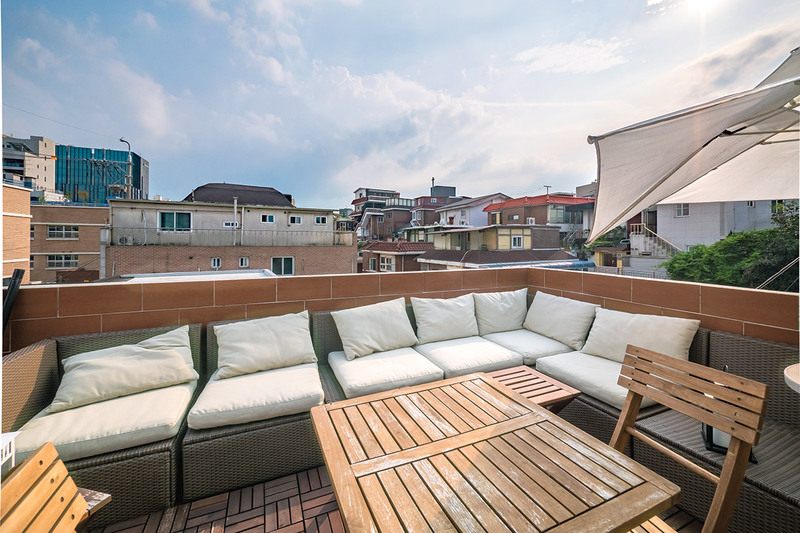 This column may have described Hongdae as a traveler’s haven, but the neighboring Sinchon neighborhood lends itself to travelers, too. You can think of Sinchon as Hongdae’s older sister. 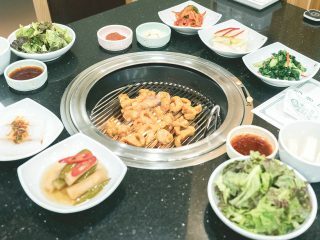 It has as many restaurants and cafés, it is bordered by two of Korea’s major universities, and it is a bit more mature than Hongdae. You will find all you need for dining, drinking, sightseeing and having fun. 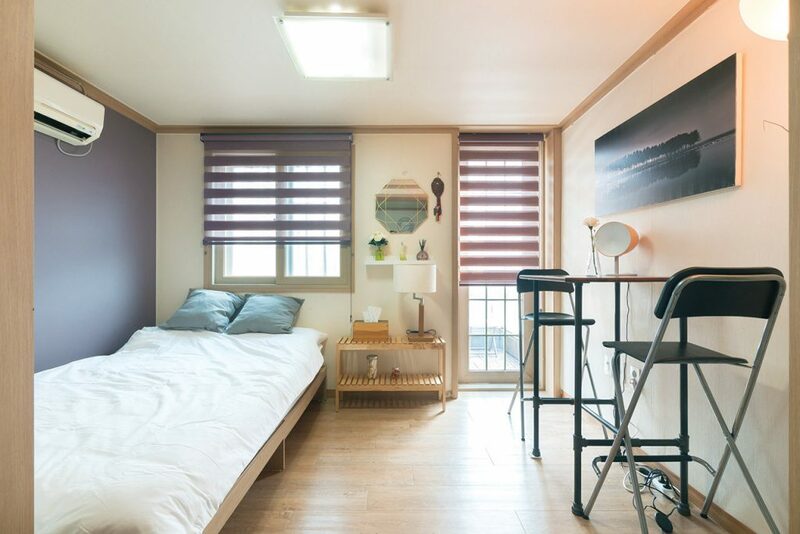 Conveniently located on Line 2, it is also a very good base from which to explore the city. Sinchon doesn’t sleep — there is always something happening, something to do any time of day or night. 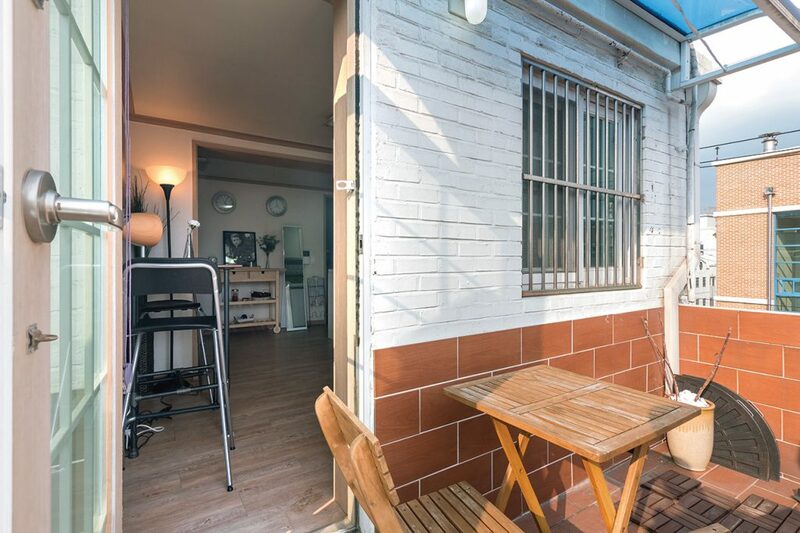 This is precisely where Yooyoung’s Oasis scores: it is situated a couple of blocks behind the main streets — in a little alleyway behind a school, in fact — guaranteeing the tranquility you seek after a long day. You’ll want to relax on the terrace. Oasis offers a cool breeze you can enjoy while resting on the sofas at your disposal. Read a book, plan your next day or your next meal, or share a conversation on the terrace, in the calm ambience of the night while reminiscing the best moments of your day. 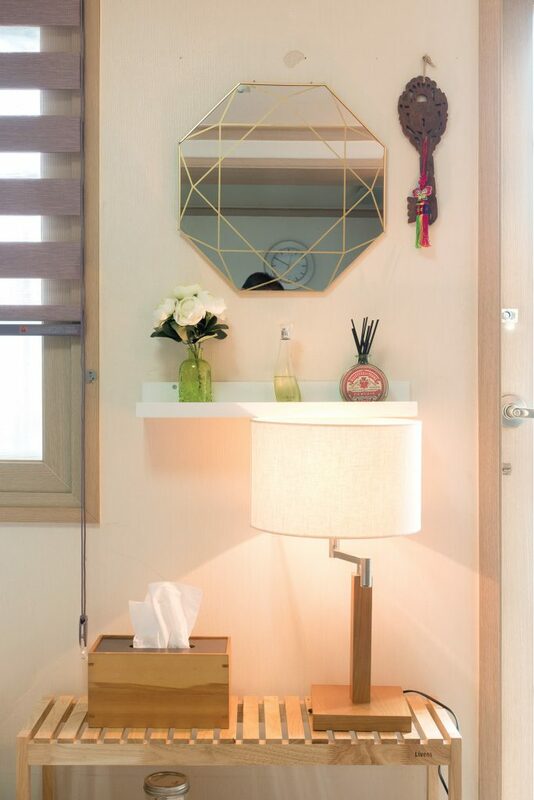 Yooyoung, the host, has equipped her cozy Oasis with all you need during your stay. She knows what you need because she herself is an avid traveler. Ask her about her trips around the world, ask her about Chile or her favorite place in Italy she visited, and she will have stories to tell you. She describes herself as a travel essayist, a exercise in which she recounts her deep experiences in local cultures and landscapes. She knows what you may need, so she will be more than happy to share a meal in the area to show you a glimpse of the local Korean culture. Don’t miss this opportunity, as there is nothing like a good meal over which knowledge and experiences are shared to enrich your trip.